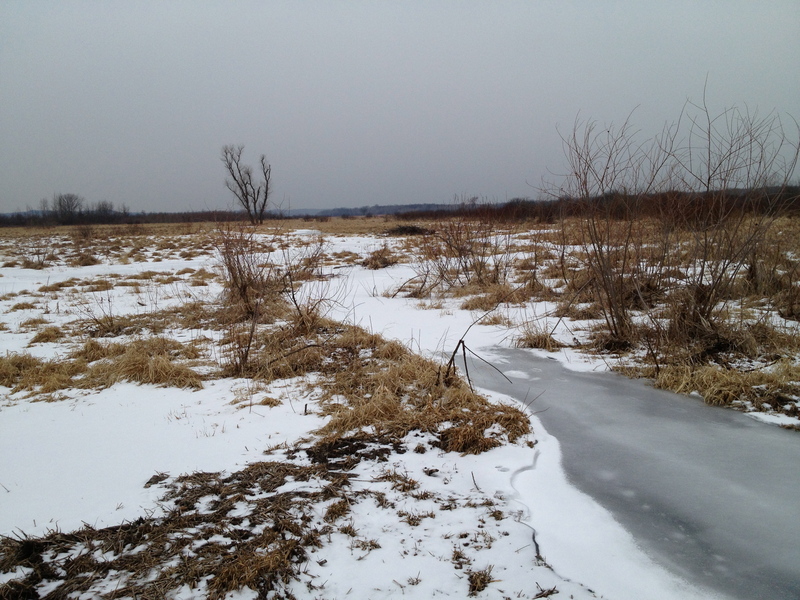 Inspired by The Bark River Chronicles by Milton J. Bates, we are going to follow the Scuppernong River from its source at the Scuppernong Spring to where it merges with the Bark River, 15 or so miles downstream, just south of Hebron in the Prince’s Point State Wildlife Area. Lindsay, Pati and I took the first leg of the journey today hiking from the Scuppernong Spring to where the river crosses Hwy N.
We left Pati’s car at the intersection of Wilton Rd and Hwy N and took Lindsay’s truck back to the Springs. There we met Rich Csavoy and we split the sack of Upland Woodland seeds that Don Dane gave us into 4 parts and we sowed the seed; first at the old barn site along the river north of the Hotel site and then on the far south side of the loop trail by our starting point at the Scuppernong Springs. Snow is forecast, but we are hoping to get to Hwy N before the skies let loose. 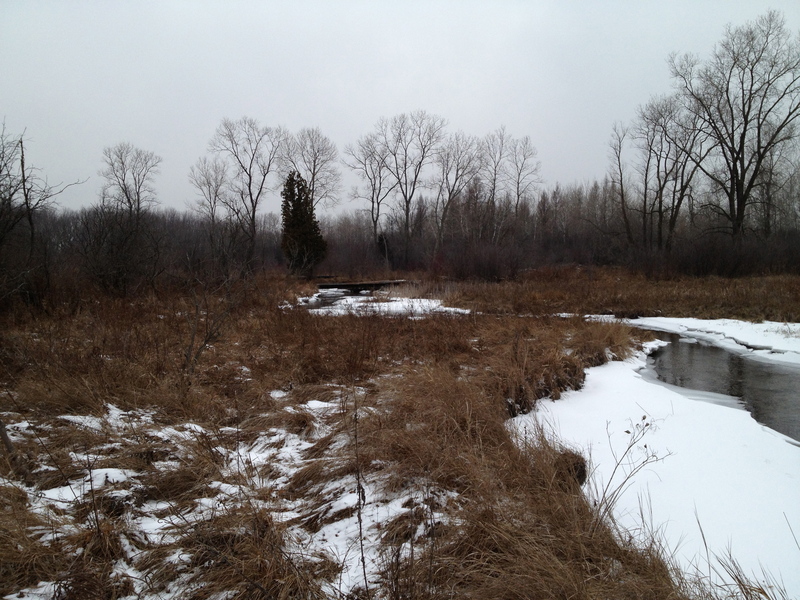 Mike sums up the effort “… we at the Wisconsin Geological and Natural History Survey (WGNHS) are cooperating with the U.S. Geological Survey (USGS) on this project which is funded by the WI DNR. To perform the work and meet the permitting requirements we worked with KMSF (Southern Unit) Staff as well as the WI DNR and US Army Corps of Engineers.” The Installation Report is here and provides an excellent explanation for how the monitoring unit works. You can see the nitrogen bubbles releasing every second or so from the end of the orifice line as described in the report. 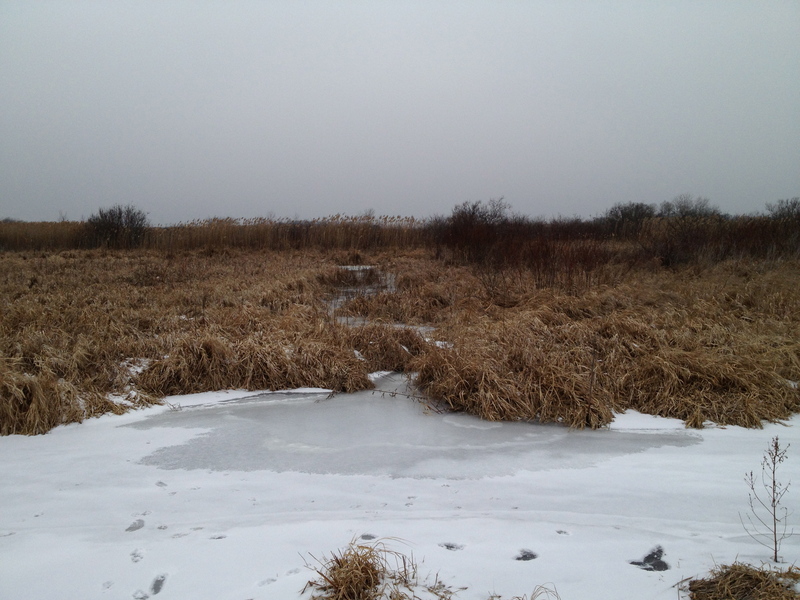 Next we take a look around at the Glacial Lake Scuppernong basin and Ottawa Lake. 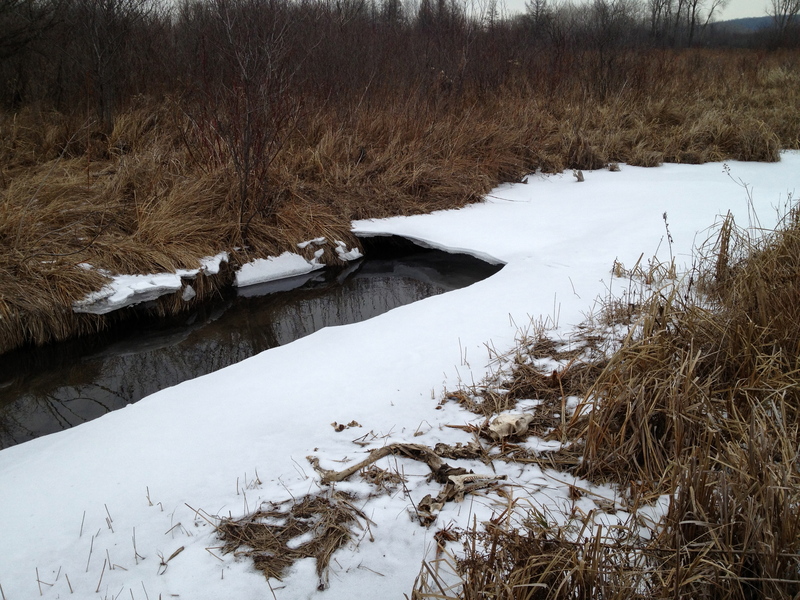 And proceeded to where the outflow channel from Ottawa Lake joins the river. The river takes a sharp left turn to the south and follows a straight course until it comes along side a pond, at which point it turns right to the west. Here are a few perspectives looking up and downstream. 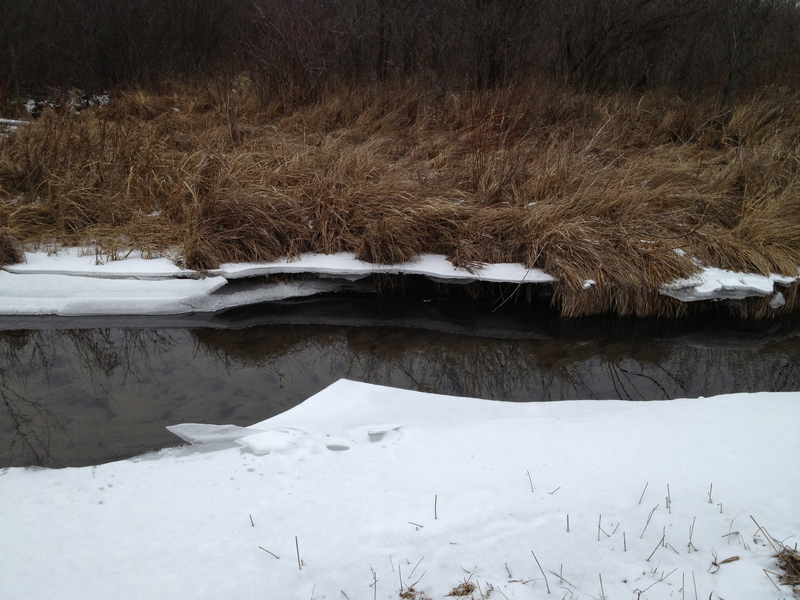 The ice showed evidence that very recently the river was 6-8″ higher in this area. 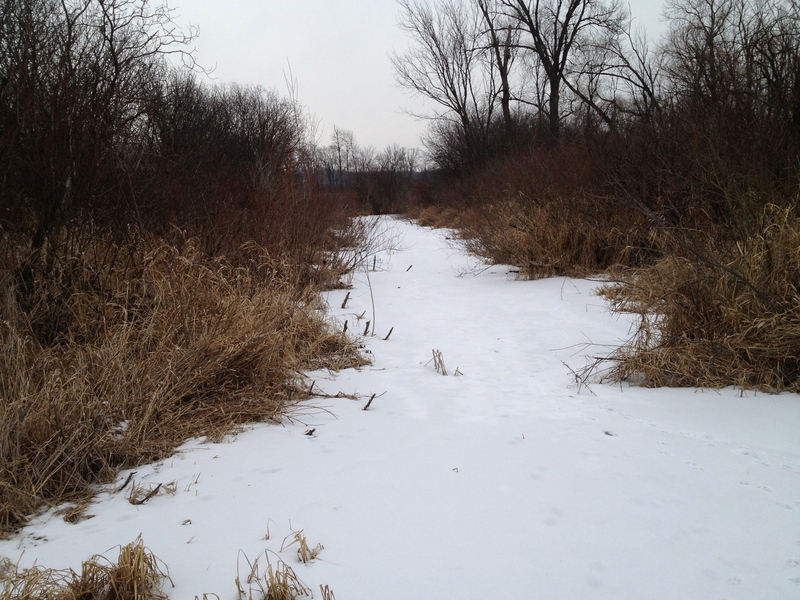 The vegetation varies from rushes, sedges, flowers and grasses to cattails and phragmites, dogwood and willow. The next point of interest is where another spring joins the river. 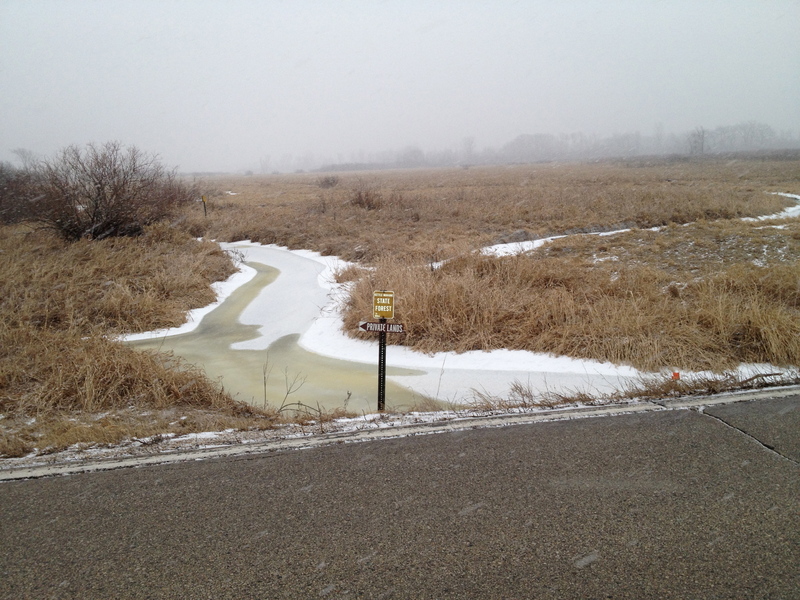 The origin of this water source is a spring on the east side of Hwy 67, just north of Road X. If you know the name of this spring, please add it in a comment to this post. If you follow the course of the river in the google map embedded above you will notice it comes up close behind a homestead. 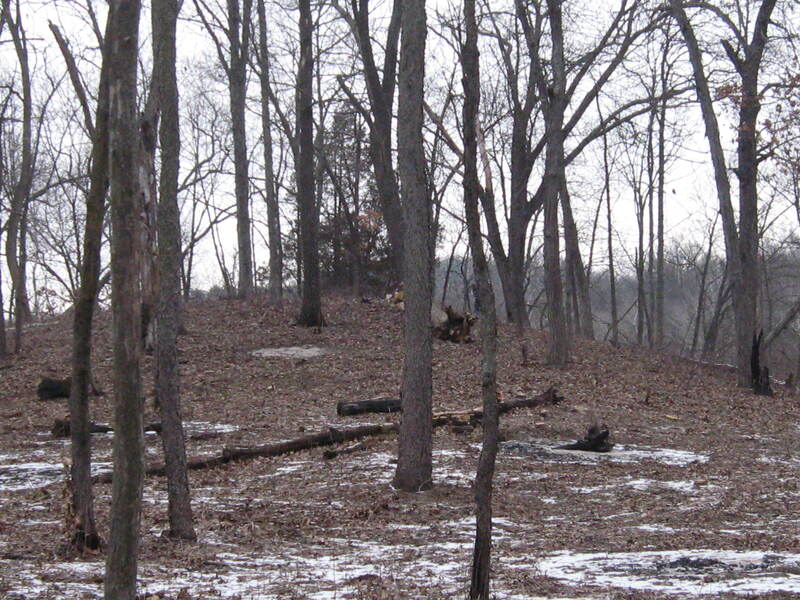 I believe the DNR recently purchased this property. A bit further downstream we came to the site of the repair work the DNR did last summer (see end of that post) to close off the connection between the river and a drainage canal. Strolling along the DNR two-track “road”, we came across a ditch that crossed the river perpendicularly and, much to my dismay, joined up with the channel that was disconnected from the river just upstream. You can see the ice path joining the river to the channel above it. 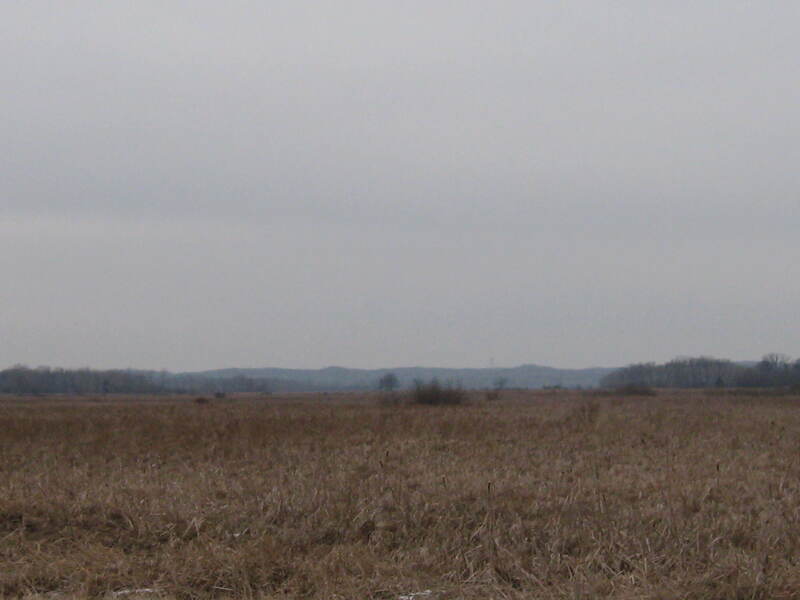 The view of the ditch that bisects the river looking south. Here is the channel full of water; is this by design or accident? Another look around at the lay of the land in these next two videos. We are way out in the boonies here. The next point of interest is the site where the DNR staged their equipment for the project they did last Summer mentioned above in the link to the Ben Heussner Interview. 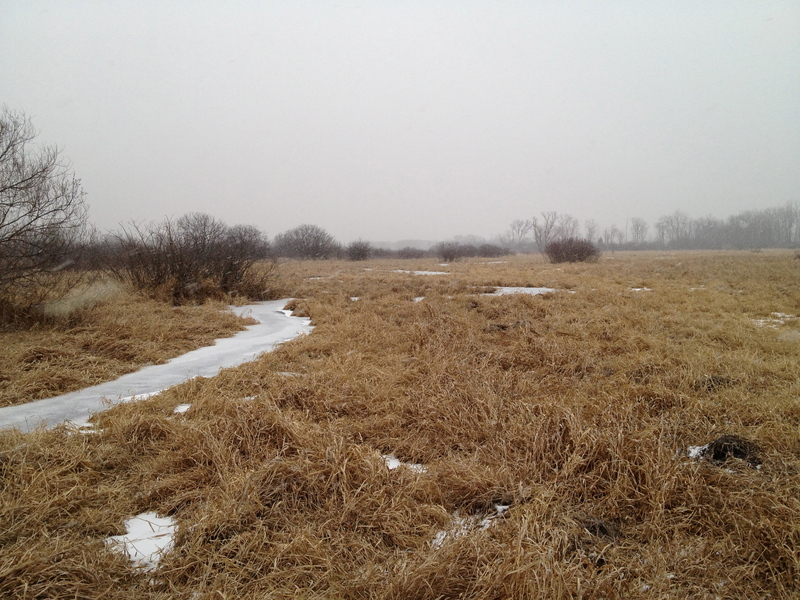 It was a lot dryer back then; good thing the wetland was frozen. As we approached Hwy N, the snow and sleet began to fall. You’ll hear me musing repeatedly about why there is water in the channel. I will follow up with the DNR about this to see if it is expected. The river and channel merge at Hwy N.
That was a nice little trip! We recommend the south side of the river if you want to give it a try. 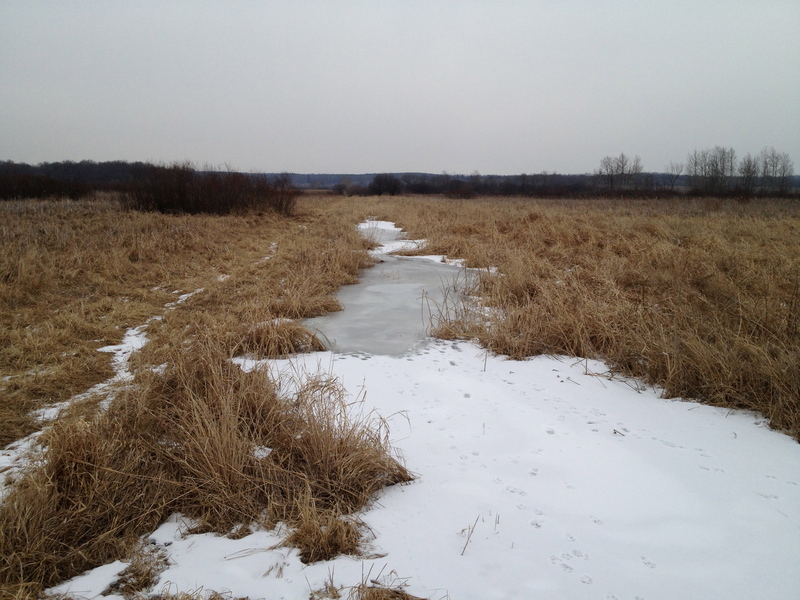 We noticed a lot of areas to gather seeds, or “plugs” next year to sow or plant back by the headwaters, where we are trying to diversify the cattail and phragmites mono cultures that currently dominate there. Here is the view looking west downstream from Hwy N. We hope to hike the next segment to Hwy Z soon. Thanks for following the Scuppernong Springs Nature Trail posts and watch for the next segment in our Journey Down The Scuppernong River. This entry was posted in Scuppernong River, Scuppernong Springs and tagged Kettle Moraine State Forest, Kettle Moraine Trails, Nature, Scuppernong River, Scuppernong Springs, SouthEastern Wisconsin Hiking Trails by paulmozina. Bookmark the permalink. I believe the springs you are referring to near Rd. X is called McKeawn Springs. It’s designated trout water according to the WI Inland Trout Fishing Regulations. Keep up the strong work, and one of these days I’ll see you at the springs. Thanks Mike! 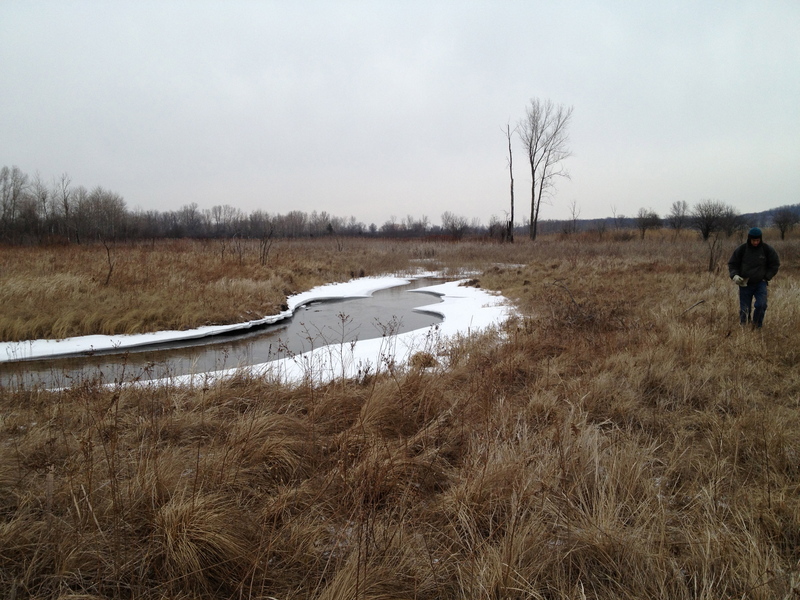 We are looking forward to working with the Southeast Wisconsin Trout Unlimited (http://www.sewtu.org/) on a project at the Springs this year. I will setup a meeting with you and the DNR in the near future. 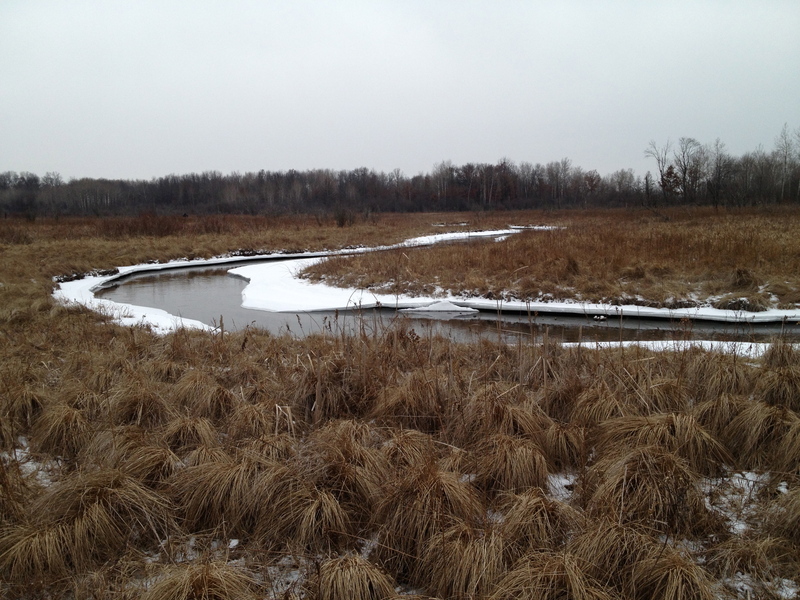 We visited the scuppernong springs Feb 2, 2013. Great place! 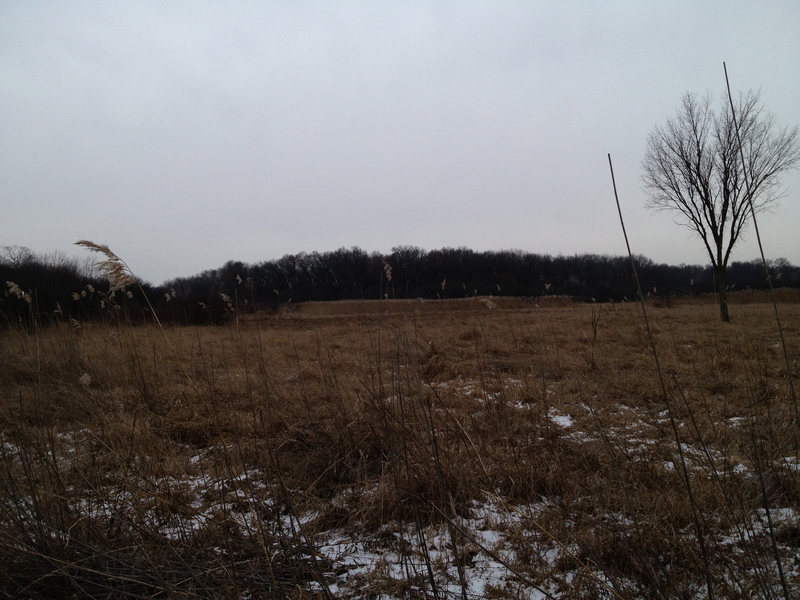 We did not know there was anywhere that hiking was allowed in the Kettle Moraine. We thought it was all reserved for skiing or snowmobiling. I wish someone would post a picture of what marl is and how it was processed. I wouldn’t know marl if I fell in it. We saw few birds except a kingfisher. So there must be some fish there. We saw not even a minnow nor fresh water shrimp. 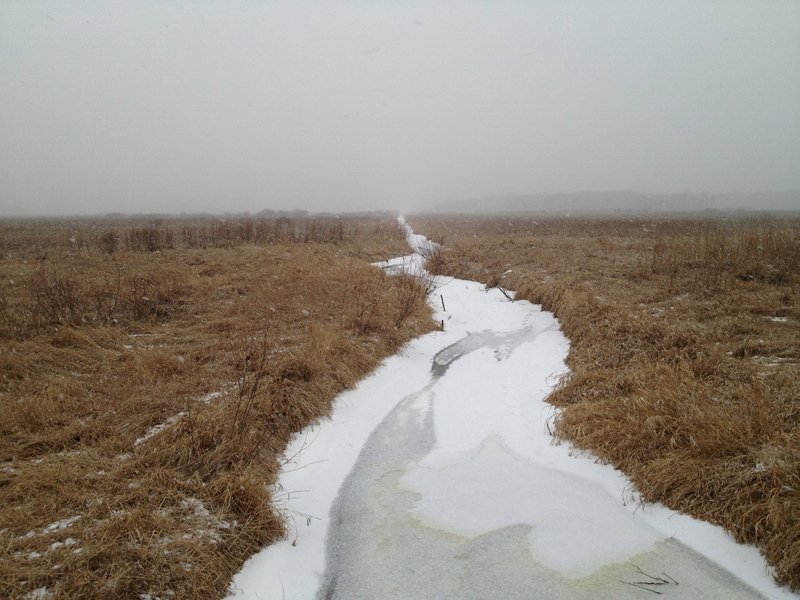 There are many great places to hike in the Kettle Moraine. Check out the Ice Age Trail for example. http://www.iceagetrail.org/. If you type in the word “marl” in the “search” box at the top of the home page of this site, you can find some pictures of the marl pits in some of the posts. For a description of Marl, check out the Scuppernong Springs Trail Brochure at https://scuppernongspringsnaturetrail.com/maps-and-brochures/ numbers 3 & 4 in the guide. You’ll have to come back and take a closer look at the Marl Pits. I mentioned in a video in the post that we passed by the South side of a homestead just west of Ottawa Lake. 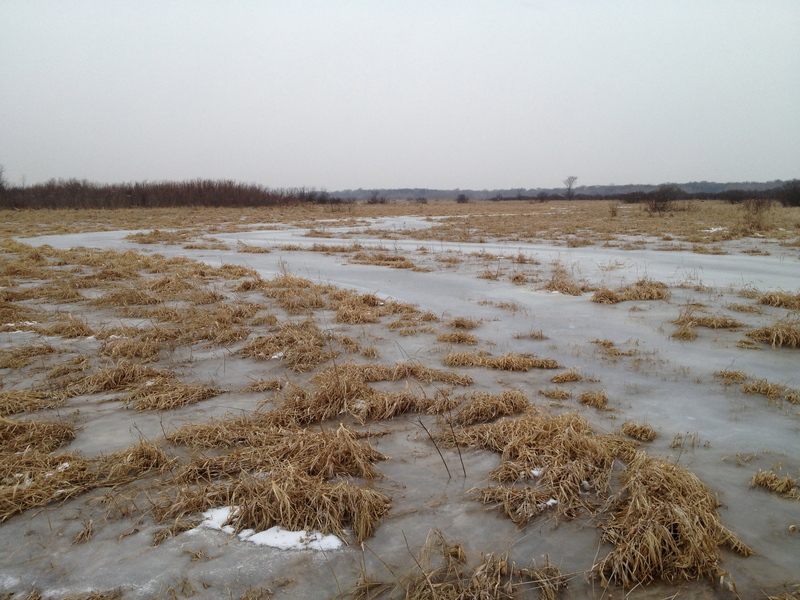 Don Dane confirmed that the DNR did purchase the Pease property and will take possession in 2-3 years. How would you like to have the Scuppernong River in your back yard? Regarding the old channel that had refilled with water I expressed concern about. See https://scuppernongspringsnaturetrail.com/2013/02/25/trout-stream-therapy/ for an explanation.